Do you know what the difference between spearmint and peppermint is? While peppermint is known for its strong chilling flavour and intense smell, spearmint actually doesn't contain any menthol, delivering a sweet, slightly cooling taste and delicate aroma. The Simple Essentials Spearmint E-Liquid will make you appreciate the distinct spearmint flavour, regardless of your previous knowledge of minty e-juices. Spearmint E-Juice is available in 10ml bottles and five different nicotine strengths to meet your needs. Spearmint E-Liquid is everything a spearmint e-juice should be - sweet in taste, delicate in smell and pleasantly cooling. 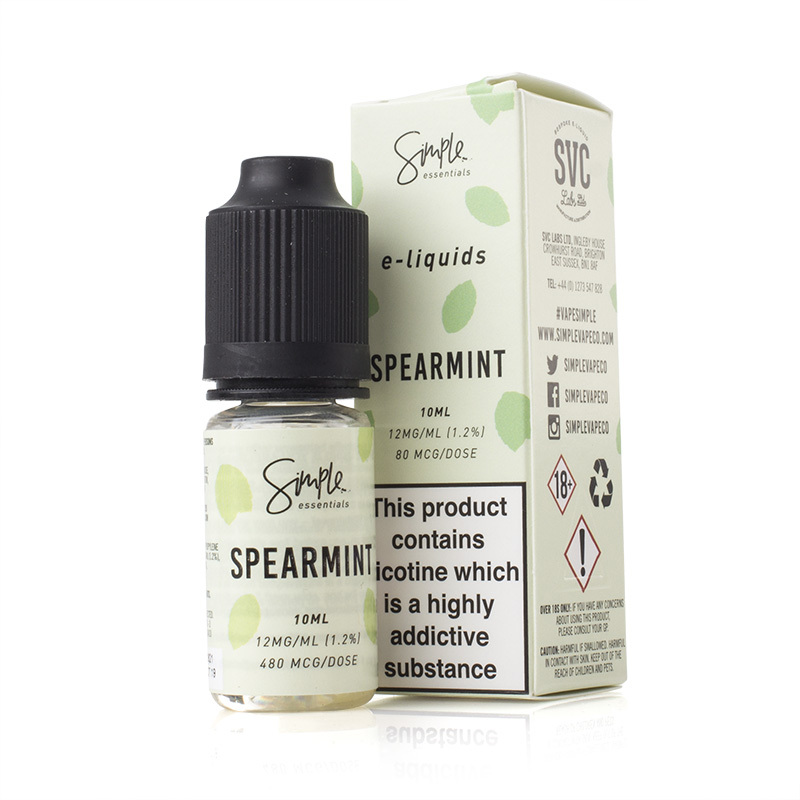 Spearmint E-Liquid has a combination of 50/50 (VG/PG) for a balanced vape with both the nicotine draw and clouds for a complete vaping experience. Spearmint E-Juice is supplied in 10ml bottles only.